Mr Vivek Arora is currently the Senior Vice President of Business Acquisition - Engineering and Construction of Sapura Energy. 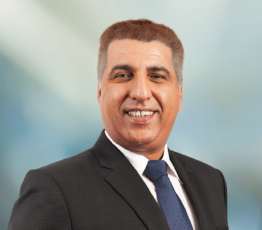 Mr. Arora has 25 years of experience in oil and gas offshore construction for McDermott ETPM Inc and Global Offshore International Limited in multiple locations in the Middle East and Asia Pacific. In 2007, Mr. Arora assumed the role of General Manager at TL Offshore Sdn Bhd (now known as Sapura Offshore Sdn Bhd) and was then appointed as the Chief Operating Officer of International Business at SapuraCrest Petroleum in 2010. Prior to his current position, he was appointed as the Vice President of Engineering and Construction - International at Sapura Energy from 2012 to 2014.